The warty Frogfish or Wartskin Angler is an amazing saltwater fish that can change colors and patterns as a form of camouflage. They can blend into their surroundings effortlessly. Their colors can change depending on the surroundings they are sitting on or resting on. Their color can be white, cream, orange, black, brown and even blotches with contrasting colors but usually they are rusty-red or pink. Their scientific name is Antennarius maculatus and their family name is Antennariidae but they have many commonly known as Clown Anglerfish, Wartskin Frogfish. Clown Frogfish, Galloping Clown Frogfish, Large-spotted Angler, Wartface Anglerfish, Wartskin Anglerfish and Wartface Frogfish. If you have never seen one of these fish, then you need to visit your local aquarium or pet store quickly and take a look at one. They are amazing and as soon as you see them you’ll want to buy one. But are Warty Frogfish easy to keep and feed? Will Warty Frogfish live in a community marine fish tank? In this complete care guide, we’ll give you all the information you’ll need to make an informed purchase. Reef Compatible May eat small shrimps and Crabs and rest on corals. This ugly but fascinating marine fish can be found sitting amongst corals and sponges on jetties and in shallow reef edges. Antennariids are known as anglerfishes in Australia, where the term “frogfish” refers to members of the unrelated family Batrachoididae. Frogfish can be found in many tropical oceans searching for food in an amongst the shallow reefs or sitting on the ocean floor. They never go below 300 Feet. These fish lure their prey with a stalk between their eyes that mimics the movements of its prey. They can open and expand their mouths to the width of their bodies to engulf their prey. They sit very still or swim very slowly and wiggle their lure until their prey comes within striking distance then they strike and swallow their unexpected prey in one bite. Identification between different members of the species group can be somewhat difficult. The main distinguishing features of A. maculatus are large warts on the fins and body, though these tend to be less prevalent in juveniles. Also, the second dorsal spine is somewhat club like and larger at the top than the base in A. maculatus and the membrane on the second dorsal spine extends to the base of the third dorsal spine in A. maculatus. 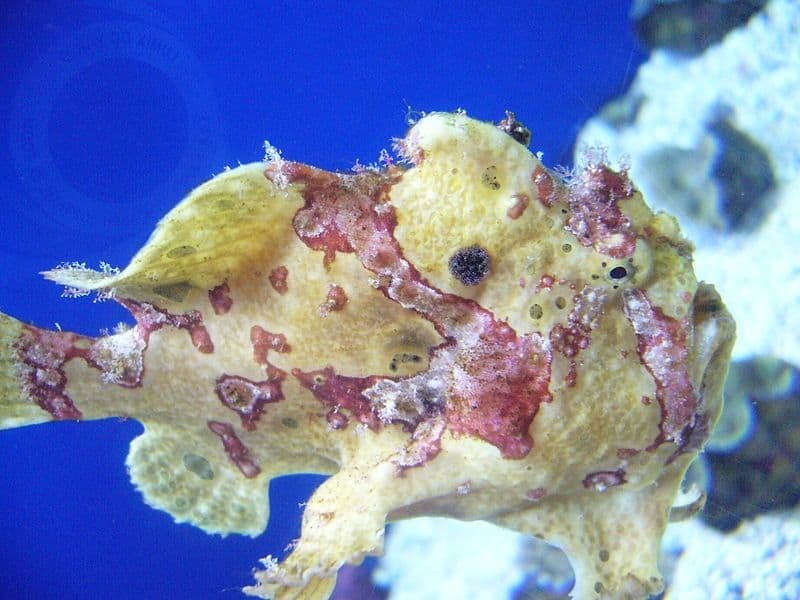 Where Do Warty Frogfish Come From? These fish can be found in the wild in Indonesia, the Philippines, and eastwards to Papua New Guinea and the Solomon Islands, Mauritius in the west and the Maldives. However, these fish are found in great numbers in the Indo-West Pacific ocean where they blend in with the natural corals and rocks. Divers have spotted the largest number of species there up to 9 different frogfish have been recorded. In the wild, they live in temperatures of 20 °C (68 °F) but these can vary from ocean to ocean. These Warty Frogfish can easily adapt to different environments and conditions. This is a solitary species in the wild and is best kept singly in a home aquarium. The warty Frogfish is not 100% reef safe due to the fact they will eat ornamental shrimp, small crabs, and small fishes. Any fish that is small enough to fit in their mouth is in danger. They are fine to be kept alongside most corals and sponges. In a community, tank ensure that other fish are not small enough to be eaten. Best Prices On Fish Food Here! Provide plenty of perches and rock forms for them to sit and relax on. Although these fish are only small they are predators from birth and will eat fish from an early age. Water conditions should be SG: 1.020-1.025, pH: 8.1-8.4 and water Temperatures 24-28 deg C (75-82 deg F) which is normal marine fish tank conditions. A tank of 25-30 Gallons is a minimum and they like a nice fast current in their tank. We highly recommend adding a protein surface skimmer we find the Aquaticlife 115 skimmer perfect available on Amazon. How many Varieties of Frogfish are there? 53 Species of Frogfish are known which has recently grown with the discovery of new species in Sydney, Taiwan, and Lembah. In the home aquarium, there are 4 or 5 main types of Angler/frogfish. Some of the wild varieties are unbelievable to look at like the Hairy Frogfish below but unfortunately are not suitable for home aquariums. This is either due to the water quality they need or their feeding requirements. Also the fact that they would eat everything in the tank. Unknown and almost impossible to identify the difference between males and females. Breeding these fish is rare and only expert aquarists have been able to accomplish this. Some public zoos and aquariums have managed to do it but raising the young is very difficult due to the eggs hatching into a planktonic larval stage requiring tiny live foods such as phytoplankton and rotifers. What Do You Feed Warty Frogfish? Feeding these fish is one of the biggest challenges. They will eventually take frozen meaty foods but this will take time and effort on your behalf. I had to revert to putting dead food on the end of a feeding stick and wiggling it around in front of my angler fish until he took the food. Mine loved Omega One Mini Veggie Pellets for some reason and I still feed them to frogfish in the store. Don’t be tempted to feed them cheap freshwater fish like guppies, tetras etc and they are believed to lead to fatty deposits in the liver. 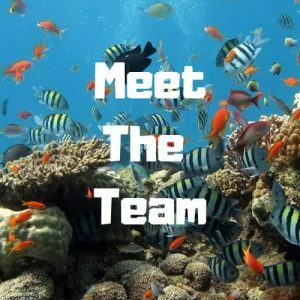 What are suitable tank mates for a frogfish? As with all frogfish, A. maculatus has the ability to attack and eat prey as large as the fish itself. 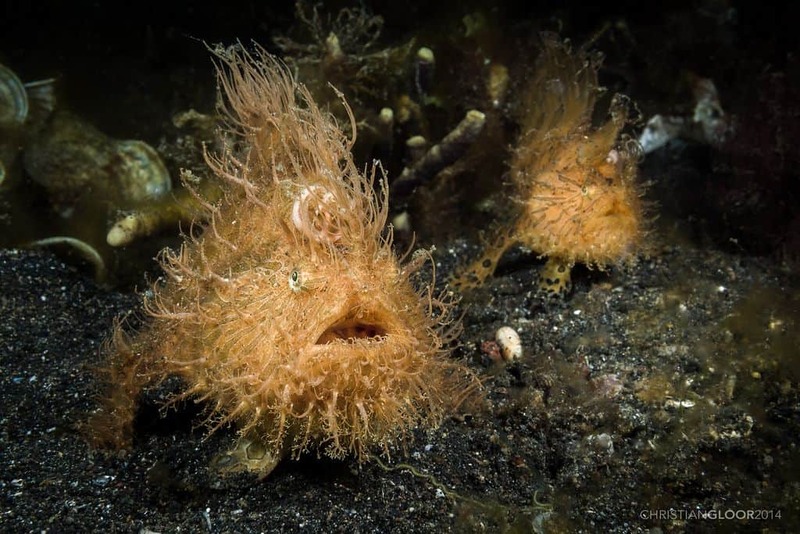 As a result of this tankmates should be chosen with wisely, even the venomous spines of scorpionfish (Family Scorpaenidae) are no deterrent to frogfish. Due to their amazing camouflage some fish will mistakenly nip and peck at their dorsal fins mistaking them for rocks or corals. It is possible to keep frogfish together, though one must weigh up the risk of cannibalism, and a much larger tank would be required for them to thrive. We have also found that good water quality is needed and we would recommend a surface skimmer to ensure the right water quality. Fully grow Jewel Damselfish make good tank mates, they are too fast for the frogfish to catch. Cleaner Wrasse is also safe to keep with Frogfish as they know the good benefits they provide to their wellbeing. Larger Tangs and Butterflyfish like the amazing Racoon Butterfly are also too big for Warty Frogfish to eat. The Frogfish is one of the fastest gulpers of any fish or vertebrate. The Frogfish uses Jet Propulsion to swim. The Frogfish lacks a swim bladder. In conclusion, you have to ask the question. ‘ Should I buy a warty Frogfish? ‘ The answer is YES! If you have an aquarium with large inhabitants and an established reef setting then yes get one of these amazing saltwater fish. I can assure you, no other fish in your tank will get as much attention from onlookers.